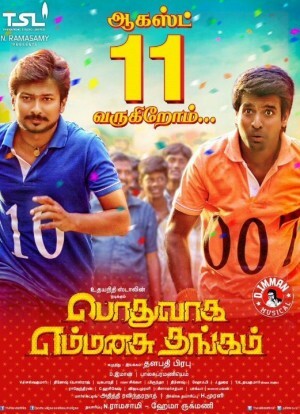 After a series of rural comedy entertainers, here is yet another film, Podhuvaaga Emmanasu Thangam, with Udhayanidhi Stalin, Nivetha Pethuraj, Soori, and others. PEMT deals with the lives of the people living in two neighbouring villages, their problems, religious beliefs, and more. The film's plot is very very thin and is something which we've experienced visually through many other films. There are quite a lot of deja vu moments in the movie, which you come across, especially from the film Varuthapadadha Vaalibar Sangam. The first half of the film starts on an interesting note, however, as the film progresses, it loses its pace and begins to test your patience. Apart from a few scenes involving Udhayanidhi, Soori, and Parthiban, the majority of the film doesn't entertain you. PEMT is one more film which has a weak characterisation for the heroine. The film also deals with the vengeance and the cat and mouse game between the protagonist and antagonist. But, the reason for the revenge isn't convincing. The film lacks a strong base in the emotions and sentiment, which acts as a negative factor. PEMT doesn't flow in a sequential pattern, and it is a collection of confrontation scenes between the leads that are put together. 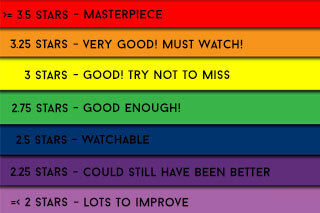 The film also falls flat at most of the places, and only a selective set of humour works well. 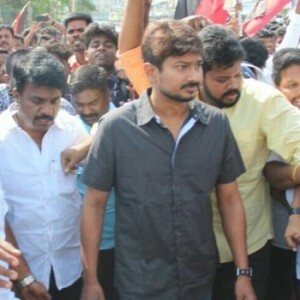 Udhayanidhi Stalin, as an aspiring youngster with a noble motive, has played it subtle with his performance. He has improved with his acting, and his dance moves show the flexibility. After an impressive debut in ONK, Nivetha Pethuraj takes the rural route for her second venture. Her expressions are attractive. However, her role falls to be a regular one. 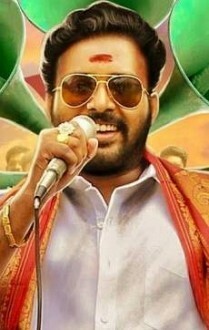 Parthiban's quirkiness in this grey shaded character is seen through his performance, and his name in the cast is a valuable addition. Soori is good with his one-liners, but, as we've already seen the same kind of humour from him in previous films, it becomes cliched. D.Imman's songs do not add value to the film, and the background score is just above average. Balasubramaniem's visuals, though colorful, looks a little bleached at few places. The film could've been more interestingly and engagingly made, but due to a lot of commercial compromises with 4 songs, elongated scenes, it doesn't keep you glued. Verdict: PEMT is a usual drama that engages in parts. Pachi Paranthiruchi to start with has the theme of love with a slow folk genre. The rhythm and beats are not too fast and take time to settle. Instruments like Sitar, Nadhaswaram and strings have been used in this song sung by Mannargudi Ramesh. Ramesh sounds fine and the chorus is somewhat of Imman’s usual style. This second number is a fast folk number crooned by Deepak. 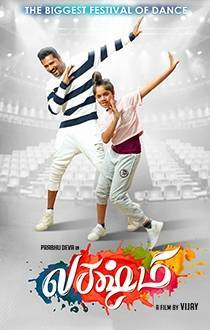 It is a fun gala song that has lyrics by Yugabharathi. An interesting beat drop flows in within the first minute. Alto Sax, Duduk are the instruments used and they enhance the otherwise not very different song Summa Irukkurathu. However, the folk beats are apt for the genre of the film. Singakutty is a folkish melody which has been sung by Rajaganapathy and Niranjana. Both Rajaganapathy and Niranjana have done a good job with the vocals especially when it comes to the peaks. The song follows a majorly melodious tone with folk beats here and there. Instruments like Nadhaswaram, Sitar and strings are evidently used throughout. Ammani easily stands out as the pick of this majorly usual style album. Diluckshan Jeyaratnam has a very husky and unique voice to compliment Shashaa’s sweet vocals. It is a nice melody with some good use of saxophone, woodwinds, acoustic and electric guitars. A very pleasant listen amidst the folk dominated album. After all the happiness filled songs, a song with a slight sad mood. Melodiously sung by Vandana and Sathyaprakash, Vandana delivers well with her expressive voice. Sathyaprakash is at his usual best. Rhythm and string sections are quite impressive and the song is a nice melancholy number. Verdict: The album has Imman’s usual pattern of songs dominated by folk numbers catering to the genre of the film! Sivakarthikeyan's Seemaraja Songs Are Here! Breaking: Nivetha Pethuraj To Star In This Superhit Sequel!! Podhuvaga Emmanasu Thangam (aka) Podhuvaga En Manasu Thangam is a Tamil movie. 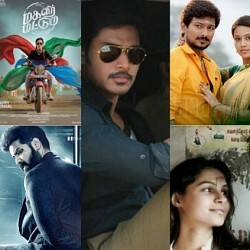 G.M.Sundar, Mayilsamy, Namo Narayana, Nivetha Pethuraj, R Parthiepan, Rajendran, RAMA, Soori, Udhayanidhi Stalin are part of the cast of Podhuvaga Emmanasu Thangam (aka) Podhuvaga En Manasu Thangam. The movie is directed by Thalapathy Prabhu. Music is by D Imman. Production by Hema Rukmani, Murali Ramaswamy, Sri Thenandal Films, cinematography by Dinesh Ponraj, editing by Dinesh Ponraj.